A selection of Peli Peli's private label South African wines. Photo courtesy of Peli Peli Kitchen. Anyone looking to increase his or her wine knowledge will be thrilled to live in Houston this month. There are myriad classes and dinners and tastings (oh, my!) for beginners and aficionados alike to sample flavors from around the world. 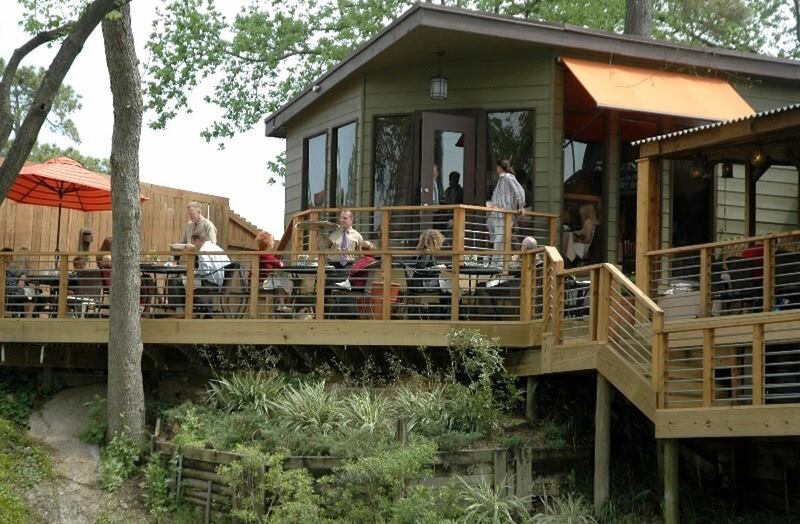 Check out our picks of what should be on every Houston wine lover’s radar. 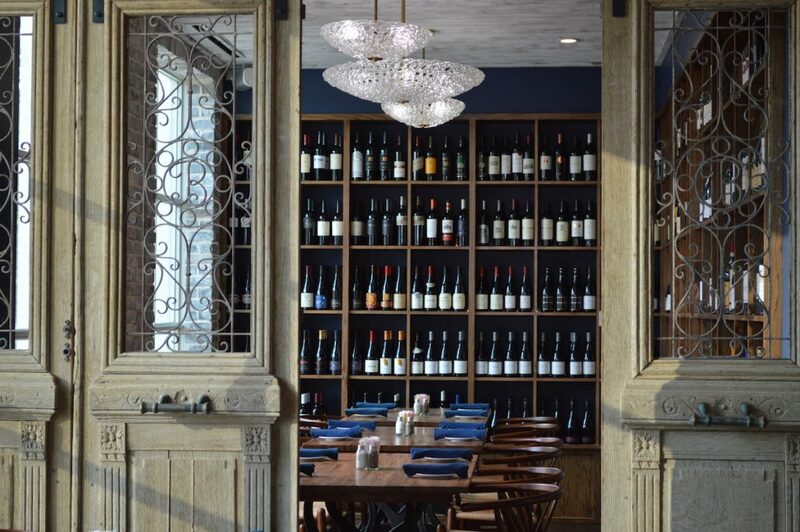 Oh, and by the way: Houston Food Finder is co-hosting a wine dinner this month, too. Peli Peli Kitchen, 9090 Katy Fwy: Houston Food Finder is co-hosting this affordable wine dinner on March 26. 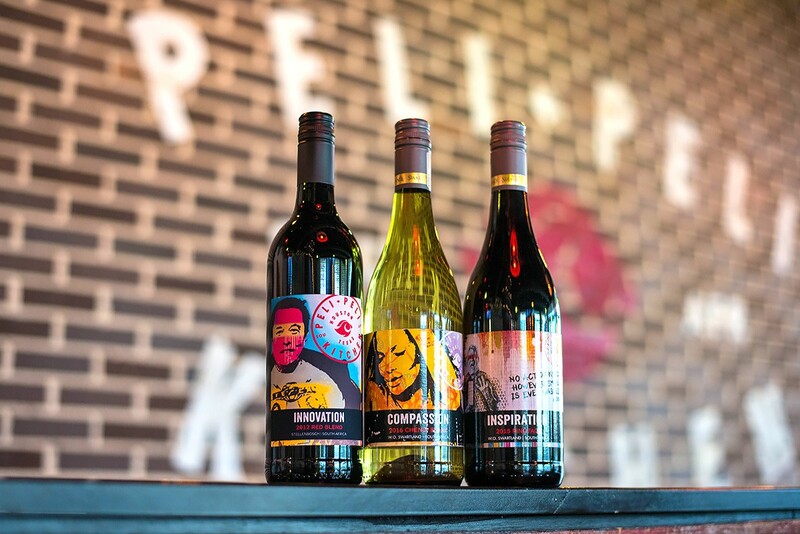 The fun event showcases wines of South Africa, the perfect companions for Peli Peli Kitchen’s casual cuisine. The four-course meal features selections such as cucumber salad with peppadews and tomatoes as well as two savory courses (braised oxtail and curried chicken) and a dessert. A South African wine representative will discuss the evening’s selections and diners can purchase bottles of the wines they love. The event begins at 7 p.m. and costs $35 per person (plus tax, online ticketing fee and gratuity). Seating is extremely limited and reservations are a must. Buy tickets online. Radio MIlano, in City Centre’s Hotel Sorella, is hosting a tasting from Cast Winery. Photo by Debora Smail. Radio Milano, 800 Sorella Court: The swanky Hotel Sorella restaurant welcomes Cast Winery’s Jack Siefrick, who guides guests through a complimentary five-flight tasting. Guests who purchase a glass of wine from the tasting will receive a small cheese plate. Bottles of Cast wine will also be available for sale. The event begins at 7 p.m. and reservations are required. To make one, call (713)-827-3545. Sud Italia, 2347 University: The homey southern Italian restaurant celebrates one of Italy’s iconic traditions, the Feast of St. Joseph with Cena di San Giuseppe (St. Joseph’s dinner). The four-course Sicilian meal includes items like mushroom ravioli with short rib ragout paired with the 2015 Timpune Grillio, and veal osso bucco served with the 2013 Caruso e Minini Cutaja Nero D’Avola reserva. Dinner begins at 7 p.m. and the cost is $59 per person. Further menu details and information available here. To reserve, call (713)-664-7571. The Slanted Frog, 815 Plantation, Richmond: Chef Frédéric Perrier’s French-Asian spot hosts an evening of Silver Oak wines, paired with a four-course dinner. Selections include Texas quail and charred octopus with the 2015 Twomey Pinot Noir, grilled ribeye cap with roasted beets served with the 2008 and 2013 Silver Oak Alexander Valley Cabernet Sauvignon and gorgonzola cheesecake paired with the 2013 Silver Oak Napa Valley Cabernet Sauvignon. A pre-dinner reception starts at 6:30 p.m., with dinner at 7. The cost is $125 per person, excluding tax and gratuity. Reservations are required and can be made by calling (281)-799-0887 or by emailing the restaurant. Sonoma Wine Bar, 2720 Richmond: The Wine Club Tasting and Pickup Party from 5 to 7 p.m. is a good opportunity for members of club—and those who are not members (yet) as well. Non-members can pay only $20 plus tax and gratuity to participate in a guided tasting of all eight wines featured in this month’s club boxes (and enjoy some cheese alongside, too). Purchase a four-bottle case and the tasting fee is waived. One tasting fee waived per person with purchase of one of the 4/bottle cases. Members get to enjoy the monthly club tasting and bring a guest free of charge; details on the club are available online. There’s not even a fee to join. Just buy the wine. a’Bouzy, 2300 Westheimer: Champagne buckets with a set of six mini-bottles of Moët for $44 highlight the River Oaks bar’s first live-music happy hour on the patio. Fox and Bones, a duet from Oregon, are providing the tunes. There’s no admission fee, but reservations are required as patio seating is limited. To reserve a spot, call (713)-722-6899. Lucille’s, 5512 LaBranch: This Museum District comfort-food spots hosts an intimate, seven-course Spanish tapas and wine dinner. Menu items include venison tartare paired with Bodega Contador Predicador Rioja, sautéed baby squid served with the Finca Arantei O Rosal Albariño, and buttermilk flan paired with Emilio Hidalgo Gobernador Oloroso Seco sherry. Dinner begins at 7 p.m. and the cost is $85 per person, excluding tax and gratuity. To reserve, call (713)-568-2505. Pappas Bros. Steakhouse, 5839 Westheimer: Michael Hirby went from being a sommelier to a winemaker and his Relic Wine Cellars is making a name for itself thanks to its terrific expressions of Napa and Sonoma grapes. During this four-course dinner, he’ll discuss and pour Pinot Noirs, Cabernet Sauvignons and Rhône blends, paired with menu items such as roasted guinea fowl and a dry-aged New York strip. Dinner begins at 7 p.m. and costs $195 per person, excluding tax and gratuity. To reserve, call (713)-780-7352. Sonoma Wine Bar, 2720 Richmond and 801 Studewood: Drop by the Upper Kirby location from 5 to 7 p.m. and/or the Heights location from 6 to 8 p.m. for $10 tastings from featured vineyards. At Upper Kirby, estate director Marty Winters from Ashes & Diamonds winery will be on hand to discuss 2015 Blanc No. 1, a blend of Sauvignon Blanc and Sémillon; 2014 Cabernet Franc No. 1 and 2014 Grand Vin No. 1, a blend of Merlot and Cabernet Franc from 30-year-old vines. At the Heights location, meet winemaker Carroll Kemp of Alma Fria winery in Sonoma. Buy two bottles at either Sonoma location at 30-percent off retail and the nominal $10 cost for the tasting is waived. The outside balcony at Rainbow Lodge, which overlooks the patio. Photo courtesy of Rainbow Lodge. Rainbow Lodge, 2011 Ella: On March 29, there is a four-course dinner and wine pairing, featuring a series of Masi wines, including the winery’s signature Amarones. The menu includes gnocci with braised veal breast paired with the 2012 Costasera Amarone Classico and grilled bison steak paired with the 2011 Vaio Armaron Serego Alighieri. The cost is $120 per person, plus tax and gratuity. To reserve, call (713) 861-8666. Chez Nous, 217 Avenue G, Humble: The cozy French spot hosts “A Taste of Spain,” featuring wines from the Ribera del Duero region, famous for its Tempranillo. Third-generation wine enthusiast Alberto Medina Moro will guide guests through selections from his family’s winery. Selections from the four-course menu include a trio of Spanish tapas with chorizo poached in red wine; garlicky shrimp with Romesco sauce; and Manchego-potato croquettes, paired with the 2015 Emilio Moro Tempranillo, and a leg of lamb with mint, honey and clove sauce served with the 2011 Emilio Moro Sanchomartin. The dinner begins promptly at 7 p.m. and costs $85. To reserve, call (281) 446-6717. Possibly, Richard. I haven’t looked to April quite yet; let me see what I can uncover. Glad you liked the story.